Michael Neave Kitchen & Whisky Bar	Assured and polished dining, Micheal Neave's offers a great value weekday express lunch and – commendably – a bargain Saturday fixed price option. The Rabbit Hole	This neighbourhood bistro is building a loyal following, thanks in part to its keenly priced set lunch. The Scran and Scallie	Clever sourcing helps keep prices reasonable at Tom Kitchin's gastropub; their weekday set lunch is a steal for such high-quality cooking. Timberyard	A tightly focused set lunch showcases Timberyard's ultra-seasonal pared-back cooking. The Walnut With two courses for around a tenner, this pint-sized Leith bistro is accessible to all. Wedgwood the Restaurant	Exceptional cooking using locally sourced, seasonal and foraged ingredients, Paul Wedgwood's lunch deal is phenomenal value. The best of Scottish produce expertly prepared in a relaxed neighbourhood eatery. An established local bistro that attracts diners from across the city, lured by well-executed classic dishes. 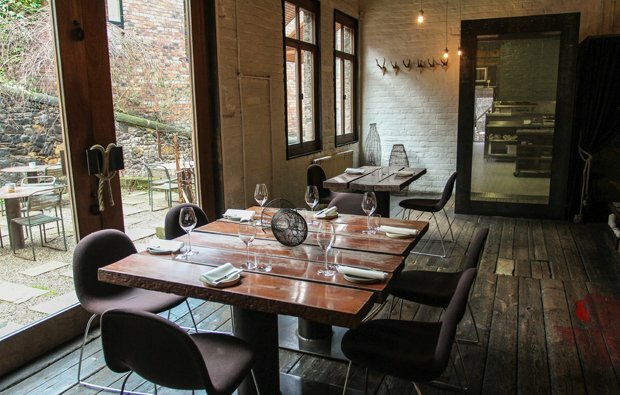 Fine dining in the heart of the Old Town, with experimental takes on the Scottish larder.